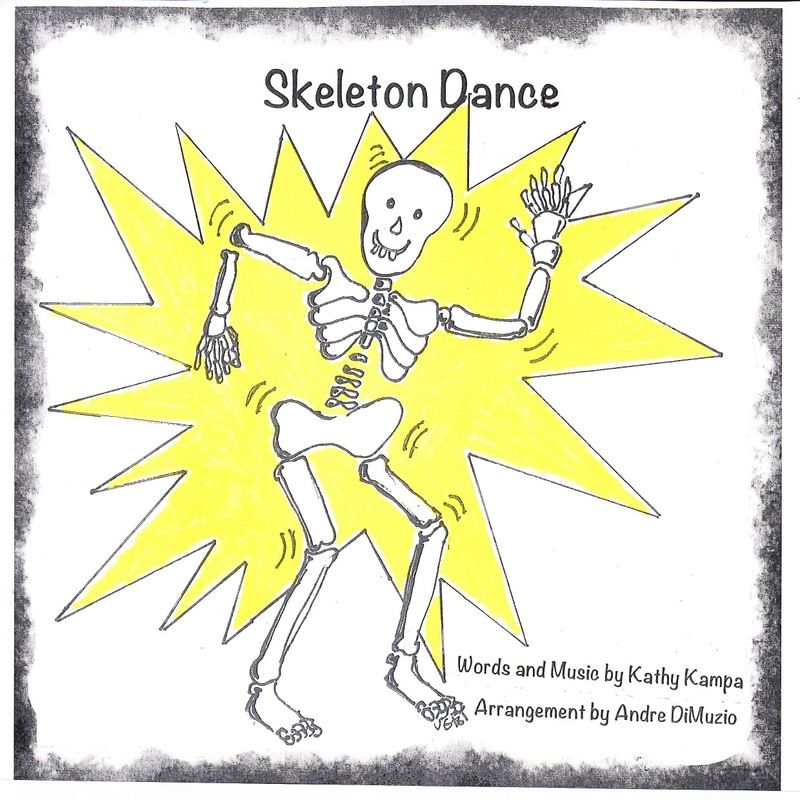 Skeleton Dance is definitely one of my students’ favorite songs! It teaches various body parts and directional movements. You can start your school day with it, use it during break time, dance it on a rainy day, move during a health unit, or dance it on Halloween. I have taught Skeleton Dance to students in kindergarten through upper elementary, and everyone enjoys it. I’ve also shared this song with teachers in America, Japan, Korea, Mexico, Taiwan, Thailand, Vietnam, and Indonesia. In this song, students will move four different body parts: shoulders, elbows, knees, and feet. First, students move their shoulders to the beat. 1. Move your shoulders . . .
Move your shoulders, do the skeleton dance. Next, students move their whole bodies to the front, to the back, and to the side. I usually start by moving only my arms, but my students love to jump in each direction. Next, students move their shoulders up, down, and around. Each time they repeat the song, they will move a different body part in these directions. C. Put your shoulders up. Put your shoulders down. Move them up and down and all around. Put your shoulders up. Put your shoulders down. Finally, students move their shoulders in their own way. This dance is repeated with the following body parts. Before I play the music, my students and I figure out how we’ll move up, down, and around using each of these body parts. 2. Move your elbows . . .
3. Move your knees . . .
4. Move your feet . . .
You can download this song from iTunes (Track #15) or CD Baby. I hope that your students enjoy this as much as mine do.